I’ve just got my hands on some Flinders Range wattle seeds; and I’d like to know how to sprout them. I’ve heard they need to be “scored” or something…………. They will germinate readily. generally boiling water treatment will break dormancy. Please note that this species is considered a weed in WA. You are correct about the weediness of Acacia iteaphylla. 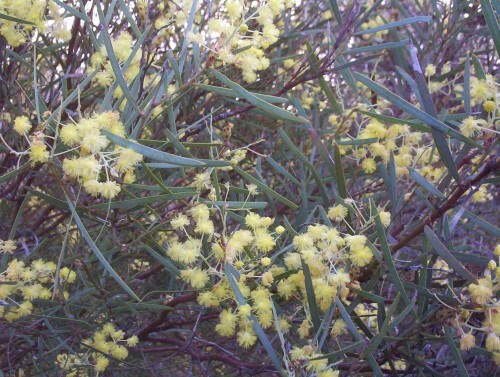 Unfortunately there are several wattles that germinate readily in certain situations outside their natural range. I have not had this happen in my yard, probably due to soil type, pH, local rainfall. If growing it near a reserve, keep an eye out for seedlings and pull them out. Are the Acacia Itaephlla seeds edible> I’d like to roast them and make Dukka.